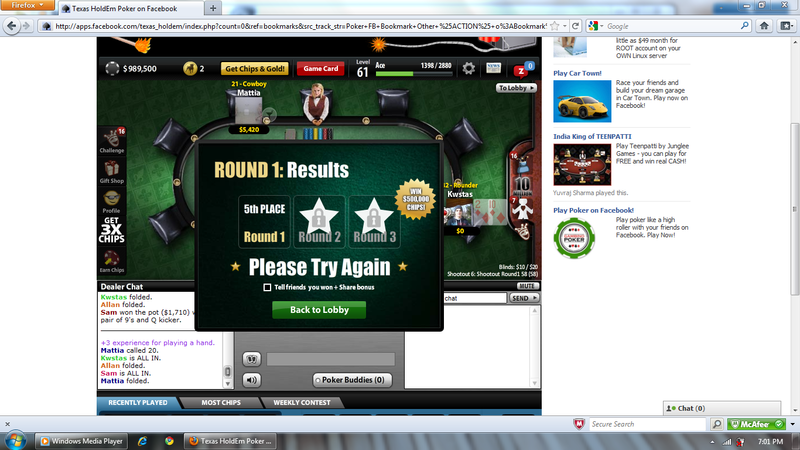 If you wish to stay on Zynga Shootout Poker table on Facebook even after loosing then here is an easy trick, however you can not play further on but yeah you can participate in chat and watch further game. All you need to do is to just press the refresh button for that page of your browser after loosing a game. And when the page loads again then you can watch the table clearly and can participate in chat also. See the screenshots below for getting it more clear. Here we comes when we loose in a shootout game. Now just press the refresh button above and see below where to lands. 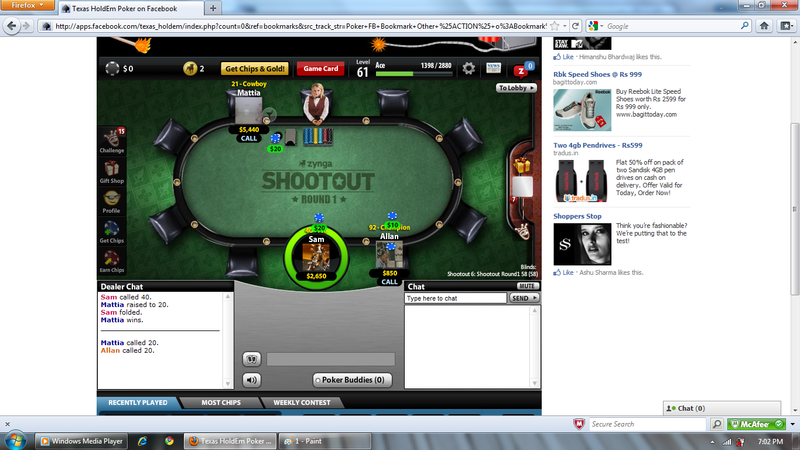 Now after refresh you can watch the table clearly and can also chat with the remaining players. This entry was posted on May 23, 2011, 9:06 PM and is filed under Facebook, Social Networking, Tips And Tricks. You can follow any responses to this entry through RSS 2.0. You can leave a response, or trackback from your own site.